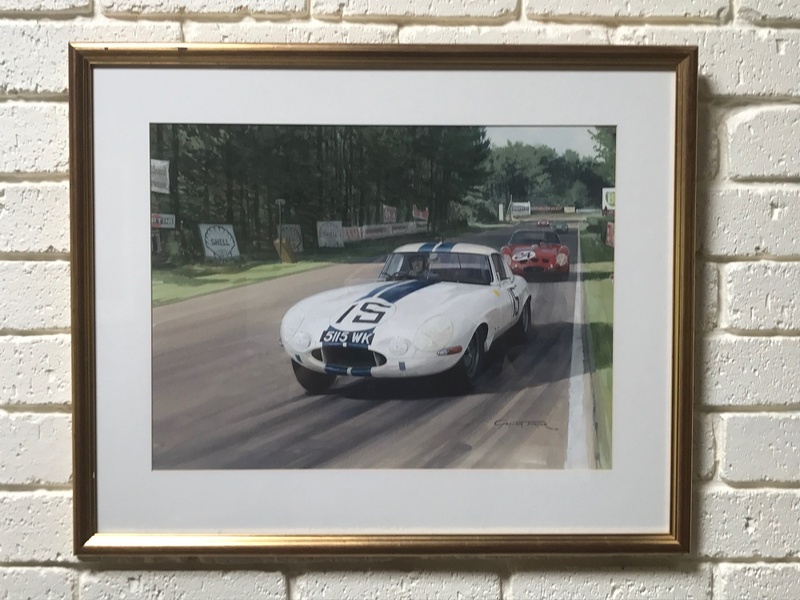 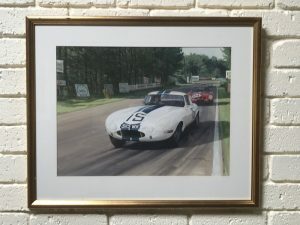 An original painting (gouache) by Graham Turner, depicting the 1963 Le Mans battle between a Jaguar E-type Lightweight (Briggs Cunningham) and a Ferrari 250 GTO (Jean Blaton). 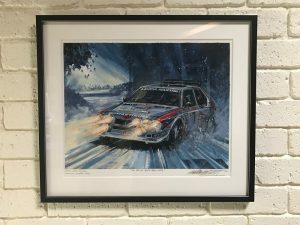 Purchased on a dutch Michael/Graham Turner exhibition in 2001. 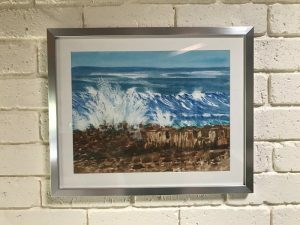 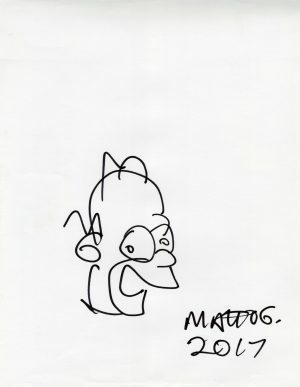 Large format (22,4″x27,2″), framed by the artist himself.